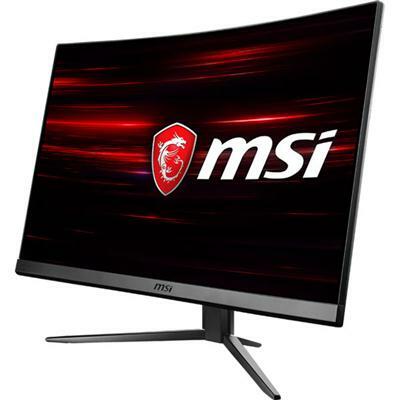 MSI OPTIX monitor. AMD FreeSync. 27". VA Panel. 1920 x 1080p. 144Hz refresh rate. 1800R curved screen. NNon-glare and Super narrow bezel for max viewing size. Smart Headset Hanger. MSI Gaming OSD. 178 (H) / 178 (V). 16.7 Million. 300cd / m2. 3000:1. 2 x USB2.0 Type A (1 x USB Type B to PC). This item cannot be shipped to APO/FPO addresses. Please accept our apologies. 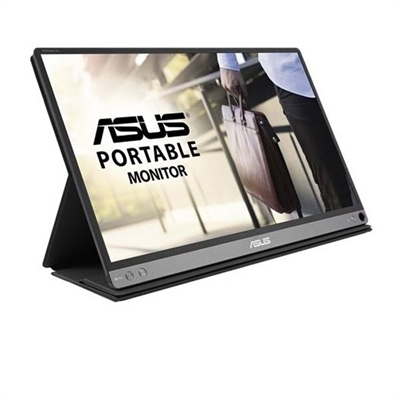 The ideal travel companion for laptops the 15.6" Full HD IPS ZenScreen Go MB16AP USB Type-C portable monitor features the world's first hybrid signal solution. Designed for portability the 15.6" Full HD IPS ZenScreen Go MB16AP USB monitor features the world's first hybrid signal solution. At only 1.87 pounds and 0.3 inches slim the MB16AP easily slides into briefcases to become the ideal travel companion for laptops to maximize work efficiency and simplicity. This item cannot be shipped to APO/FPO addresses. Please accept our apologies. 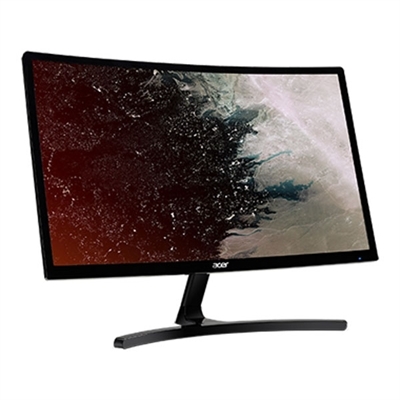 Acer K222HQL bid 21.5" 1920x1080 display This item cannot be shipped to APO/FPO addresses. Please accept our apologies. MSI OPTIX monitor. AMD FreeSync. 24". VA Panel. 1920 x 1080p. 144Hz refresh rate. 1500R curved screen. Non-glare and Super narrow bezel for max viewing size. Smart Headset Hanger. MSI Gaming OSD. 178 (H) / 178 (V). 16.7 Million. 300cd / m2. 3000:1. 2 x USB2.0 Type A (1 x USB Type B to PC). This item cannot be shipped to APO/FPO addresses. Please accept our apologies. Model VW237Q bi SKU UM.EV7AA.001 UPC 191114928318 Integrated Speakers None Signal Connectors (cables included) VGA Signal Connectors (no cables) HDMI Swivel No Height Adjustment No Size 22.5" wide Panel Type Anti-glare (AG) Other LCD Features IPS Maximum Resolution 1920 x 1200 Aspect Ratio 16:10 Dynamic Contrast Ratio 100 000 000:1 Native Contrast Ratio 1 000:1 Horizontal/Vertical Viewing Angles (typical) 178 /178 Brightness (typical) 250 cd/m2 Response Time (typical) 4ms gray-to-gray Power Adapter (cable included) Internal Tilt -5 25 Pivot No Detachable Foot Stand Yes Kensington Lock Supported Yes VESA Mount Supported 100 x 100 Registration Energy Star Chassis Black Limited Warranty Three years This item cannot be shipped to APO/FPO addresses. Please accept our apologies. 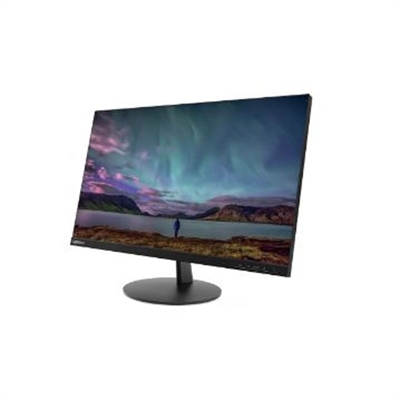 Philips 24" IPS Display 1920X1080 5MS 16:9 Height Adjust Pivot Swivel Speakers Frameless HDMI DP DVI VGA USB This item cannot be shipped to APO/FPO addresses. Please accept our apologies. 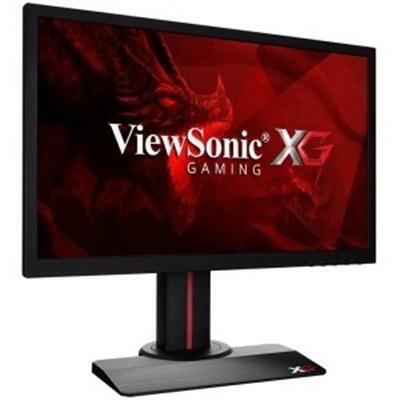 24" (24" viewable) Full HD 1080p Gaming Monitor This item cannot be shipped to APO/FPO addresses. Please accept our apologies. Model BW237Q bmiprx SKU UM.EB7AA.001 UPC 191114928301 Integrated Speakers 2 x 2.0W Signal Connectors (cables included) VGA DisplayPort audio-in and audio-out with one cable Signal Connectors (no cables) HDMI Swivel +/- 45 Height Adjustment 120mm Size 22.5" wide Panel Type Anti-glare (AG) Other LCD Features IPS Maximum Resolution 1920 x 1200 Aspect Ratio 16:10 Dynamic Contrast Ratio 100 000 000:1 Native Contrast Ratio 1 000:1 Horizontal/Vertical Viewing Angles (typical) 178 /178 Brightness (typical) 250 cd/m2 Response Time (typical) 4ms gray-to-gray Power Adapter (cable included) Internal Tilt -5 25 Pivot No Detachable Foot Stand Yes Kensington Lock Supported Yes VESA Mount Supported 100 x 100 Registration Energy Star Chassis Black Limited Warranty Three years This item cannot be shipped to APO/FPO addresses. Please accept our apologies. 23.5 1920x1080 1ms 144hz Quantum Dot fully adj. stand VA panel HDMIx2/DP 1 year warranty This item cannot be shipped to APO/FPO addresses. Please accept our apologies. 24" (23.8" viewable) Dual Monitors with SuperClear IPS Panel 1920x1080 Resolution. This item cannot be shipped to APO/FPO addresses. Please accept our apologies. The 27 Full HD (1920x1080) ASUS VP278QG delivers the speed you need built with 1ms response time and Adaptive Sync/FreeSync for tear-free game play with 75Hz refresh rate. ASUS-exclusive Eye Care technology helps to reduce eyestrain and ailments with flicker-free backlighting and various levels of blue light filters. This item cannot be shipped to APO/FPO addresses. Please accept our apologies. 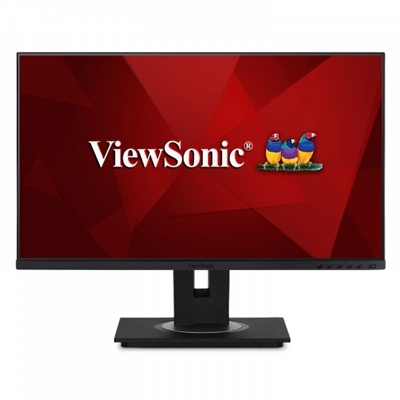 24"(23.8" viewable) SuperClear IPS Quad HD Monitor with Advanced Ergonomics 2560x1440 Resolution. This item cannot be shipped to APO/FPO addresses. Please accept our apologies. 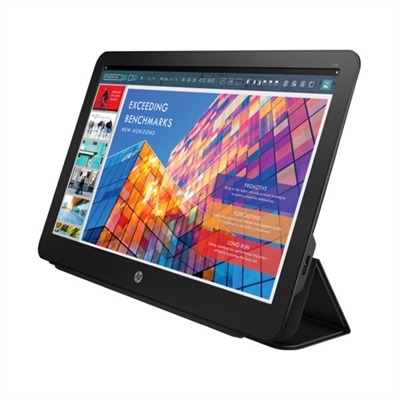 HP SmartBuy V14 14in Portable Display This item cannot be shipped to APO/FPO addresses. Please accept our apologies. 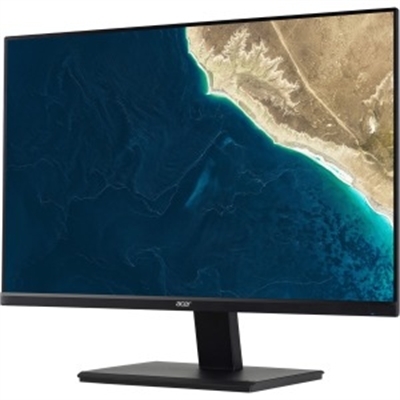 Model ED242QR Abidpx SKU UM.UE2AA.A01 UPC 191114417737 Size 23.6" wide Panel Type Anti-glare (AG) Frameless No Touchscreen No Other LCD Features VA curved Maximum Resolution 1920 x 1080 Aspect Ratio 16:9 Dynamic Contrast Ratio 100 000 000:1 Native Contrast Ratio 3 000 Horizontal/Vertical Viewing Angles (typical) 178 /178 Integrated Speakers None Signal Connectors (cables included) DisplayPort Signal Connectors (no cables) DVI HDMI audio-out (HDCP) Brightness (typical) 250 cd/m2 Response Time (typical) 4ms gray-to-gray Power Adapter (cable included) External Tilt -5 20 Swivel No Height Adjustment No Pivot No Detachable Foot Stand Yes Kensington Lock Supported Yes VESA Mount Supported No Registration None Dimensions with Stand 21.6" (54.6cm) x 15.9" (40.4cm) x 7.6" (19.4cm) Weight with Stand 12.6 lb. (3.4kg) Chassis Black Units Per Pallet / 40' Container 64 / 1 344 Limited Warranty Three years This item cannot be shipped to APO/FPO addresses. Please accept our apologies. 46 inch High Brightness Commercial LED Outdoor Display. Resolution: 1920 x 1080. 2500 cd/m2 brightness. Samsung's OHF Series comes complete with an advanced cooling system with heat exchanger supported by advanced thermal control functionality. Fully integrated self-contained outdoor display with IP56 certification for use in heat cold rain snow and dust High brightness display optimized for visibility in bright ambient light even while wearing polarized sunglasses Reliable 24/7 operation with a simple solution for remote content management Built to handle extreme temperatures with a self-cooling system and protected from vandalism with tempered Magic Glass This item cannot be shipped to APO/FPO addresses. Please accept our apologies. 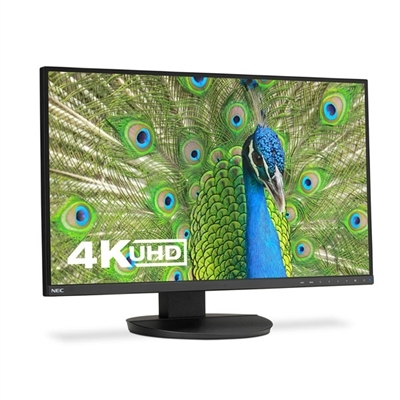 MultiSync C431 - 43" Slim LED LCD Public Display Monitor 1920 x 1080 (FHD) 400 cd/m2 45mm Mechanical Depth Anti Glare screen HDMI In x3 DisplayPort In VGA In Audio Mini-Jack IN x2/Out Full bidirectional control through RS232C and LAN Integrated Media Player through powered USB/SD Card Integrated 10W x 2 Speakers 3 Year Commercial Warranty Stand not included (ST-401) This item cannot be shipped to APO/FPO addresses. Please accept our apologies. 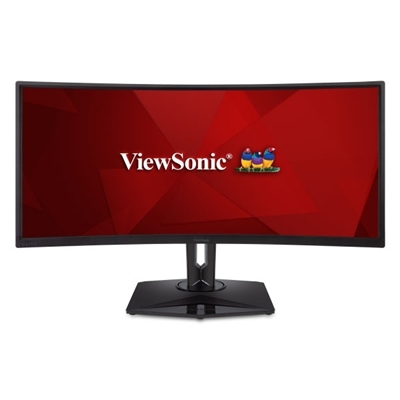 With an ultra-wide screen and stunning QHD 3440 x 1440 resolution the ViewSonic ELITE XG350R-C curved gaming monitor delivers an immersive viewing experience for esports and gaming enthusiasts. 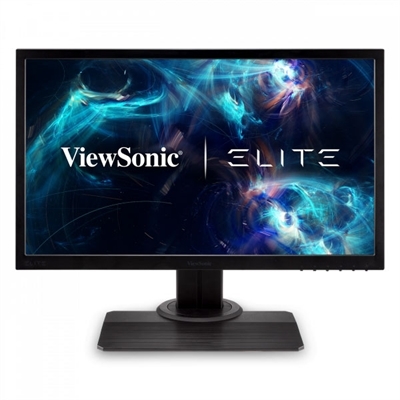 Equipped with ViewSonic exclusive RGB lighting technology ELITE RGB the XG350R-C beautifully illuminates gaming setups and synchronizes to other RGB peripherals without any additional software. Featuring an incredible 100Hz refresh rate this AMD FreeSync gaming monitor virtually eliminates screen tearing and stuttering for fluid gameplay during fast-paced action scenes. 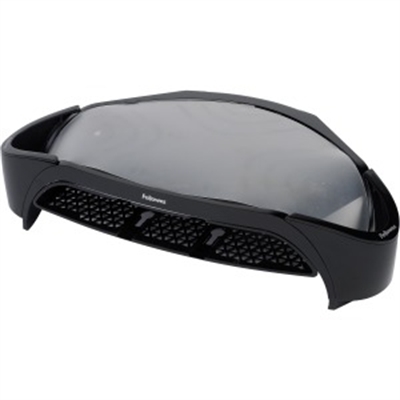 On top of that ClearMotion technology utilizes backlight strobing to produce clear visuals and drastically reduce image blur in fast-moving scenarios. For a game-winning competitive edge ELITE Game Mode optimizes visuals for FPS MOBA and Battle Royale games. 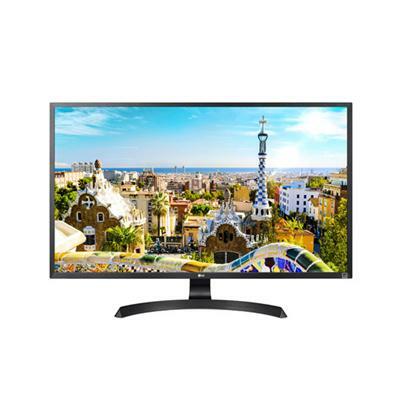 By integrating HDR10 content support this 35" curved gaming monitor delivers a high dynamic range of vivid color and contrast for incredible gaming and entertainment immersion. With an This item cannot be shipped to APO/FPO addresses. Please accept our apologies. 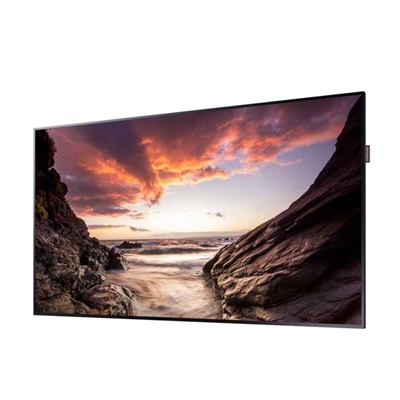 32" 4K UHD VA Wide Viewing Angle Panel 300nits Freesync 5Wx2 Stereo Speaker HCDP 2.2 Compatible 2x HDMI (2.0) 1x Displayport (1.2) Height Adjustment Stand Screen Split OnScreen Control This item cannot be shipped to APO/FPO addresses. Please accept our apologies. 27" SuperClear IPS Quad HD Monitor with Advanced Ergonomics 2560 x 1440 Resolution. This item cannot be shipped to APO/FPO addresses. Please accept our apologies. The ROG Strix XG258Q esports monitor with Aura RGB lighting delivers competition level gameplay with a 24.5 Full HD (1920x1080p) 1ms panel with a native 240Hz refresh rate. Adaptive Sync/FreeSync eliminates screen-tearing for smooth gaming while ASUS exclusive Eye Care technology reduces eyestrain with blue light filtering and flicker-free backlighting. This item cannot be shipped to APO/FPO addresses. Please accept our apologies. Smart Suites Monitor Riser Plus - Modern lightweight design with built-in storage This item cannot be shipped to APO/FPO addresses. Please accept our apologies. 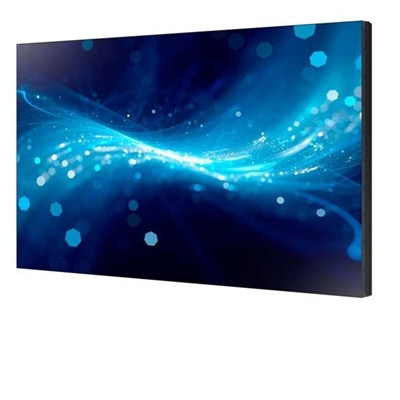 43-inch Commercial LED LCD Display (Tizen based platform) - TAA. 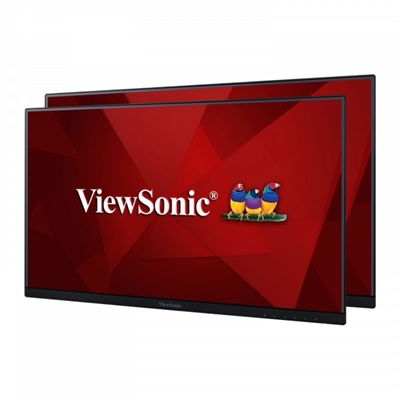 Viewable Area 43 inches Contrast Ratio 3000:1 Response Time 8ms Brightness 700nit Display Resolution 1920 x 1080 (16:9) Viewing Angle 178:178 Input DVI-I (D-Sub Common) Display Port 1.2 (2) HDMI 2.0 (2) / HDCP 2.2 HDCP 2.2 Stereo mini Jack RGB/DVI/HDMI USB 2.0 x 2. Special Features Non Glare Panel Temperature Sensor Video Wall(15x15(OSD)) Video Wall Daisy Chain(16) Pivot Display Clock Battery(168hrs Clock Keeping) Built in Speaker(10W x 2) WiFi Module Embedded IP5x Center IR Magic Clone(to USB) Auto Source Switching & Recovery RS232C/RJ45 MDC Plug and Play Image Rotation Button Lock DP 1.2 Digital Daisy Chain(HDCP Support) Firmware Update by Network New Home Screen PC-less VideoWall(external source only) Multi Channel Mobile Control Event Schedule Backup Player. This item cannot be shipped to APO/FPO addresses. Please accept our apologies. 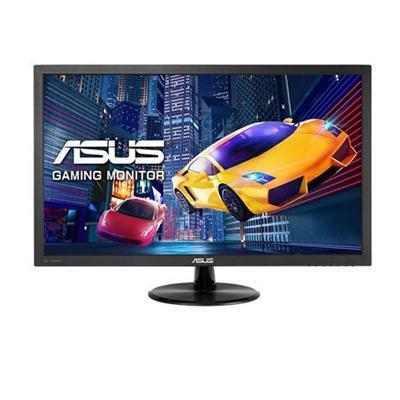 24" LCD Gaming Monitor with ELITE RGB Technology 1920x1080 Resolution 144Hz Refresh Rate Rapid Response Time. This item cannot be shipped to APO/FPO addresses. Please accept our apologies. 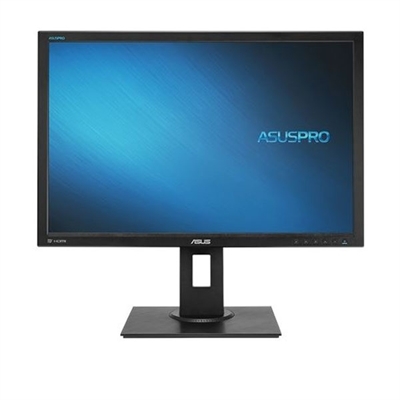 ASUSPRO C624BQH 24.1" WUXGA 1920 x 1200 IPS DP HDMI DVI VGA USB3.0 Ergonomic Eye Care Monitor. 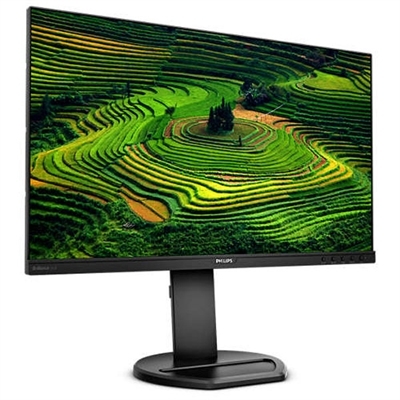 Designed for business versatility the C624BQH features a 24.1" WUXGA (1920x1200) IPS panel with 178-degree wide-viewing angle and extensive connectivity. Fully equipped for enhanced productivity the C624BQH includes fully adjustable ergonomics (height pivot tilt swivel) and ASUS Eye Care technology removing stress-inducing blue light and flickering for long term viewing comfort. This item cannot be shipped to APO/FPO addresses. Please accept our apologies. 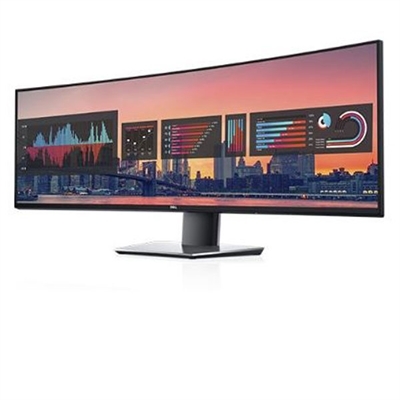 The 4K UHD 27" NEC MultiSync EA271U is a large workspace for the most demanding applications. 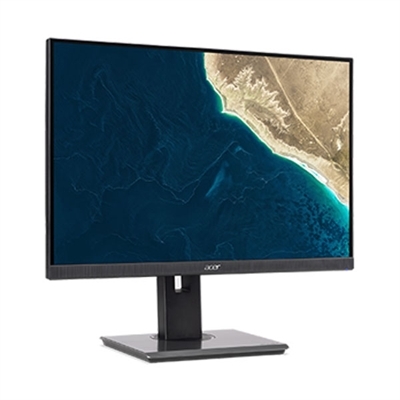 With 3 bezels measuring only 1.0mm each this widescreen model features IPS panel technology with wide viewing angles (178 horizontal/vertical) and an LED backlight for a slimmer profile lighter weight and increased power savings. 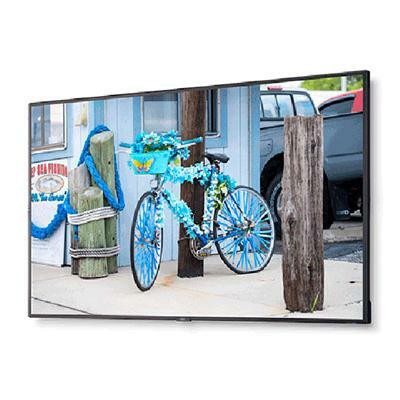 This model also features a height-adjustable stand and full connectivity with DisplayPort and two HDMI inputs as well as a DisplayPort output. In addition the USB Type-C input can serve as a single connection to a laptop providing power video and USB connectivity through one cable. The EA271U includes touch-sensitive On Screen Display controls a Picture by Picture (PBP) mode for two inputs onscreen at the same time streamlined cable management and ControlSync technology which allows users to control the settings of up to six units in a multi-monitor configuration. The included SpectraViewII software and Spyder5 color calibration sensor ensure that colors are rendered This item cannot be shipped to APO/FPO addresses. Please accept our apologies. 24"(23.8" viewable) Dual Monitors with Full HDSuperClear IPS Panel 1920x1080 Resolution. This item cannot be shipped to APO/FPO addresses. Please accept our apologies. 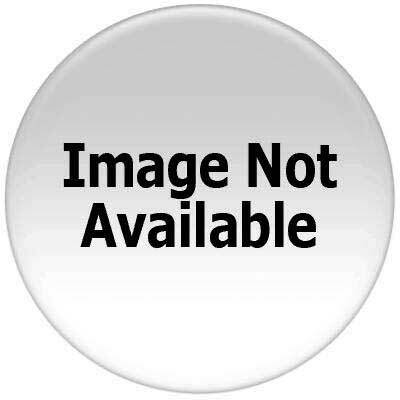 Dell 49 Super Wide Dual-Client Monitor - U4919DW This item cannot be shipped to APO/FPO addresses. Please accept our apologies. 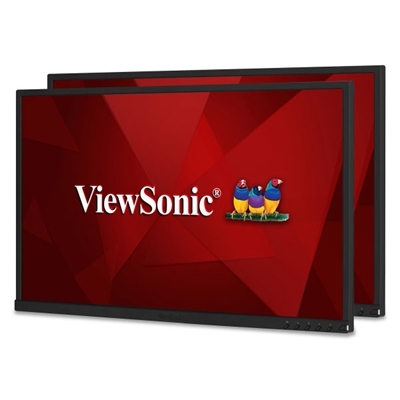 P27h-10 -27inch Monitor (HDMI) 3YR Depot Rapid Replacement Service This item cannot be shipped to APO/FPO addresses. Please accept our apologies. 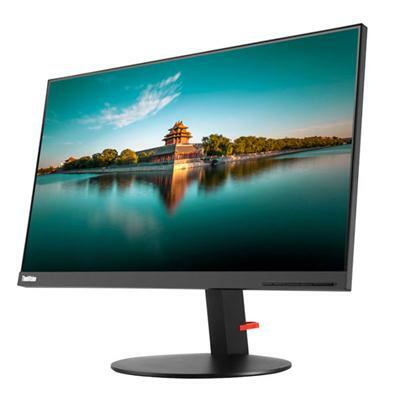 CYCLE 1 2019 Lenovo L27i-28 27" IPS FHD (1920x1080) VGA/HDMI/Audio Out Non-Touch 4ms 72% NTSC This item cannot be shipped to APO/FPO addresses. Please accept our apologies. 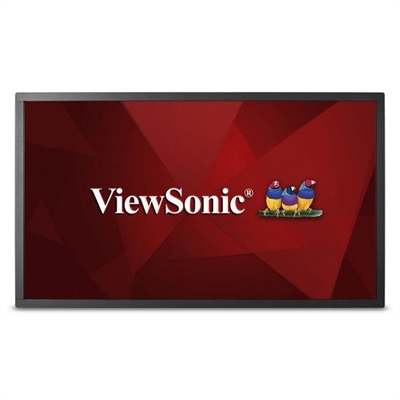 55" (54.6" viewable) All-in-One Commercial Display 10-Point touchscreen and internal media player. This item cannot be shipped to APO/FPO addresses. Please accept our apologies. 24in 2560x1440 white cabinet and stand fully adj stand HDMI/DP/DP out/USB-C/USB Hub 3 yr wrty This item cannot be shipped to APO/FPO addresses. Please accept our apologies. 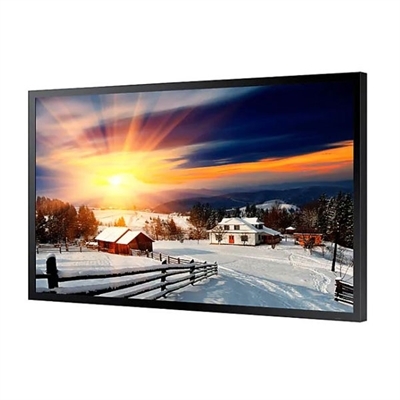 46-inch Extreme Narrow Bezel Commercial LED LCD Display - Manufactured in a TAA Country This item cannot be shipped to APO/FPO addresses. Please accept our apologies.